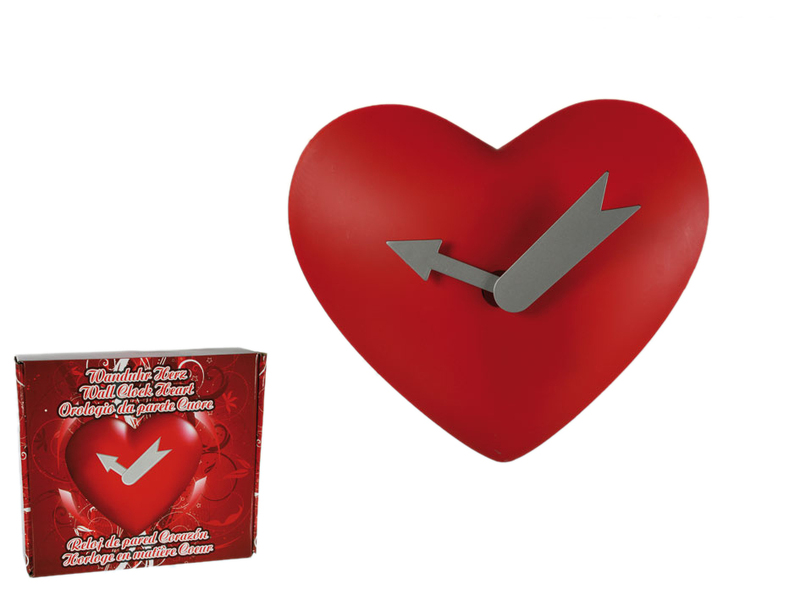 Adorable red wall clock in the shape of a heart. Hour and minute hands together look like a Cupid's arrow. Great gift for the loved ones. Size: 25 x 22 cm. Battery-operated (for 2 AA batteries).